Been a while since my last post! 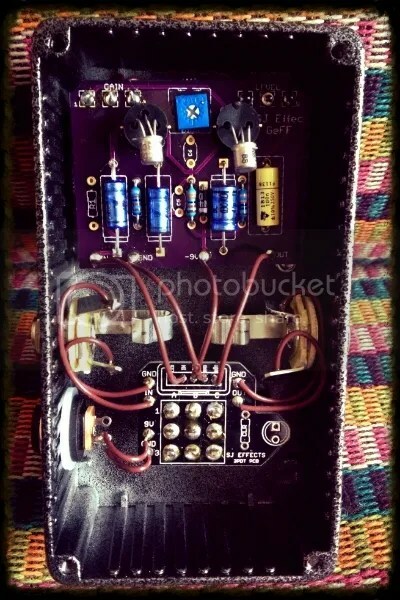 This is another Fuzz Box I recently built up. I wanted to go for a vintage look with this build; an homage to the old 60’s Fuzz Faces. Its a classic Fuzz Face, with hand selected BC108 Transistors, and some other small tweaks and modifications. I also used ‘Mojo’ parts (Vishay and Cornell Dubilier caps etc.). I’m not so certain that the use of ‘mojo’ parts enhances tone, but they certainly look cool! As with most Fuzz Face circuits, this thing sounds best placed first in the signal chain. 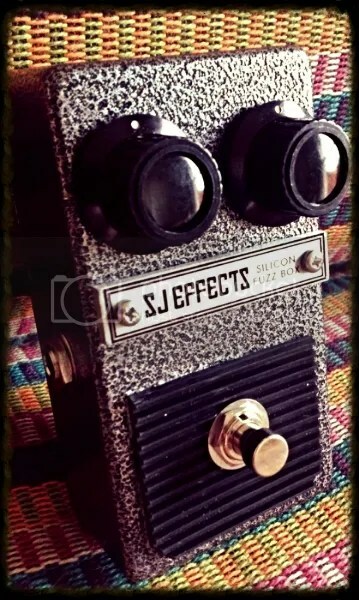 This entry was posted in Uncategorized and tagged BC108 Fuzz Box, BC108 Fuzz Face, fuzz face, silicon fuzz box, silicon fuzz face by sjeffects. Bookmark the permalink.